Otsu’s origin as a business pursuit dates back to 1992. Spain was in the midst of a serious economic crisis (not as serious as the current crisis) and I was one of the thousands of students attending the University Complutense of Madrid. b. Daring, arrogance: as a result of the certainty that comes with youth, the courage necessary start out was almost impossible to contain. Without knowing what the specific problems of this challenge would be, I knew that I had enough of the qualities necessary to overcome them: determination and an obsessive fixation on achieving my goals. c. 650,000 pesetas (€3,900). My savings from working as a lifeguard in the summers, and from my work at Cambios Sol. 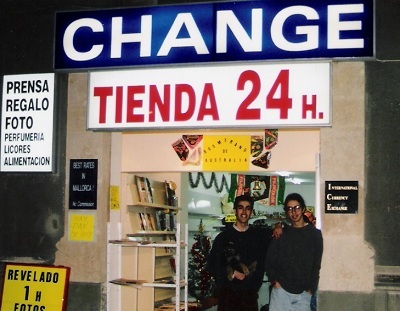 d. Information: about a good opportunity at the right time: currency exchange in Spain at the beginning of the 90’s. a. Money: I needed resources to start the project. b. Associates: to contribute work and/or money. I told everybody who would listen about my project and from there the first Otsu team was created: an American from San Francisco who had been an associate of mine at a magazine that we had briefly edited and distributed in Madrid, my brother Jorge Fernández, my sister Laura Fernández and her boyfriend at the time Daniel. The associates contributed the money that we needed and we soon had a functioning exchange office in Palma Majorca. We lived in a house on Ramón Muntaner street and paid 35,000 pesetas (€210) per month. 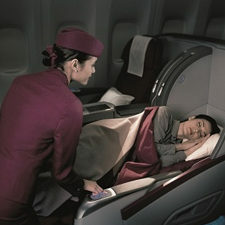 It was more of a cave than a house and we worked part time: 12 hours a day, including weekends and holidays. I finished the last two years of my undergraduate degree – and graduated with a law degree –studying in the store. It was very normal for us to have one or two free days in the entire year. Imagine what those days off were like: like suddenly sticking Robinson Crusoe in Times Square; those single days felt like two months of vacation. The store was big enough for us to set up a 24 hours convenience store, and we did this in order to get the most out of the business; we started to work 15 hours per day, which can no longer be considered part time. In the first year, two of our associates sold their shares, exhausted by the frenetic work pace; natural selection took place and my sister Laura, my brother Jorge and I kept the project going. I spent my first New Year’s Eve on Palma in the Son Dureta Hospital, the result of a health problem provoked by our never-ending work days, and I remember feeling lazy for being in bed in the hospital while my brother and sister were working. The work place was brutal, it didn’t let up for even a second. When my father invited us to Christmas (we didn’t close for Christmas Eve or New Year’s Eve) we got into a huge argument (he said that it was more important for us to sell two bottles of J&B than to have dinner with him). The business started to bear fruit and we became the “clever kids” of the island. Port Portals, the Nautical Club of Palma and other luxurious places called us to exchange currency for affluent tourists; we always came running. There was never a call that we didn’t attend to, it didn’t matter what time it was, the amount or the place. If they had a big yacht party on a Saturday night and they needed to exchanges marks, we were there; if they got their hearts set on a dress in Loewe and it was five o’clock in the afternoon and the banks were closed, we were there; if in the middle of dinner at the Son Vida Hotel, at midnight, they needed “Spanish pesetas” it wasn’t a problem because there were some young crazy kids on the island who were ALWAYS open. 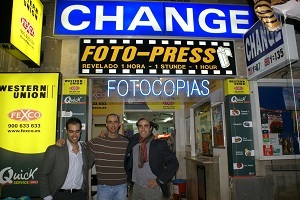 We were the “clever kids” in currency exchange and we quickly opened stores all over the island. German, Austrian and British millionaires only exchanged their money with us. There were tourists who told us that they came to us because their friends from “Plymouth,” “Hamburg,” or “Vienna” who had been in Majorca had recommended us. I remember doing a mailing to German businesses one time offering them our currency exchange services: among the many other clients whose business we gained, was a German real-estate agency that needed to change 50 million pesetas (€300,500). We didn’t have that kind of money, so I went to the bank and I asked them to lend us the money for one day. They told me to forget about it; I didn’t forget about it, and I convinced them to do it with the condition that three employees of the branch would bring the money to the real-estate office where the exchange was to be made. I appeared there with my 22 years and a smile. The owner of the real-estate agency couldn’t believe that I was so young. There were a lot happy times and a lot of disappointments; a lot of hard work and anxious nights. Many times I heard, “why did you study at university if you were just going to sell newspapers in a store,” (we ran the store personally). But I ran to get home every night (I closed the store at 3 o’clock in the morning and it was the only time I had to exercise) and while I was running I made plans for the number of franchises that I had to open each year to carry out my plan; the numbers came out very well in my head and my stride would lengthen and I would smile to myself. While my friends went out on the weekends, had a lot of leisure time and had fun, I tirelessly worked with my brother and sister to build something important that would last, something that we could be proud of. Those years in Majorca were fantastic, with both their difficult and brilliant moments. When we made enough money to invest in a new business, I knew one thing for sure: it would be a franchise. Currency exchange as it had been, had come to an end (with the birth of the Euro) and we faced two important tests: to adapt the business to a new paradigm, and to make the right move in terms of the new franchise we would buy. We bought a franchise in education and taking into account, as an important element, the best location for it to work well, I moved to Alicante, leaving my brother Jorge in charge of the business in Majorca. But this is not the beginning any more, this is another story. 1. When one sets out, is it impossible to know everything that the project will need to be successful. Because of this, it is necessary to be DARING without obsessing about controlling everything. 2. A project can be started with hardly any economic resources, which can be found from outside sources. What is important is the DETERMINATION to be successful, because nobody can lend you that. 3. We always have to do things that are not considered to be on the “road to success” and that are actually the key, like sleeping in a “cave” or “selling newspapers.” The plan is in our heads, we have to dream the road to success, and this forms part of the PATH. If we want to follow the path created by others, it is better not even to start. 4. Thanks to constant CHANGE, we can get into the game (without change there is not opportunity). The change that gives us the opportunity to start later tests us and threatens us; we must always maintain our initial courageous and enterprising attitude. Those who cling to anything, lose it. Os felicito Manuel, Jorge y resto de familia por vuestro ejemplo de espíritu de superación y de trabajo. 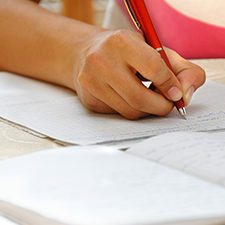 Es bonito conocer historias de gente inconformista como vosotros, que no se ha creído el mundo que le planteaban y que ha decidido escribir su propio guion de vida. Historias inspiradoras que muestran que, incluso comenzando desde lo más humilde, si uno arriesga a cada paso pero con responsabilidad, y es fiel a su proyecto, puede crear grandes empresas y gran valor para la sociedad. Os deseo mucha prosperidad.